A few days ago The Episcopal Digital Network released three different articles on student debt for seminaries. Since I now attend an Episcopal Seminary, I have, to some degree, two different experiences watching two different churches handle the monster that is seminary debt. At my internship training two weeks ago, supervisors were asking students how much debt they were taking on to be clergy – and it was not unheard of to hear the number “80k” thrown around (including undergraduate loans) [as an aside, these same clergy then would act jealous that they don’t have the “freedom” my generation has…right…] Most students do not receive financing from the wider church nor their home synods and congregations. Instead, they rely on financial grants from the seminary, third-party scholarships, kind spouses, and loans. Luckily, our current loans are backed by the US government (rather than 3rd party folks) but with the loss of subsidized loans, our interest just keeps piling up. With a hope and a prayer, most of us enter into seminary assuming that we’ll have a job coming out but with no guarantee that will actually happen. And with the Lutheran polity being to find a job before ordination, some folks can spend quite awhile waiting for income to “roll” in after graduation. When I was at LTSP, I was lucky and found myself to be a Fund for Leaders recipient. I was granted a full-tuition scholarship for my seminary education as long as I attended an ELCA institution. When I left after my first year, I lost that scholarship. 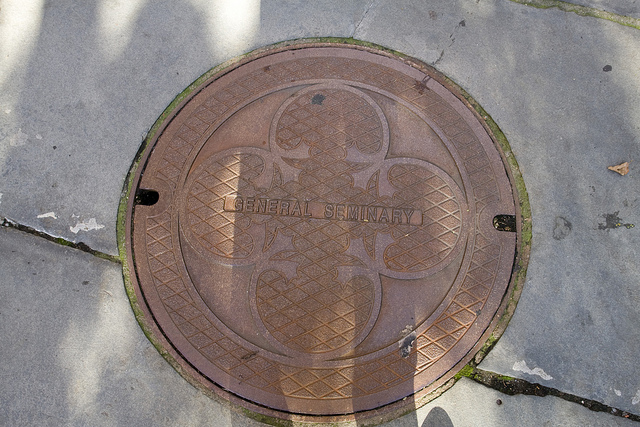 I entered General Seminary with a small grant – but that grant does not grow even though my dependents are on the rise. And I’ve discovered, attending a non-Lutheran seminary has cut me off from access to Lutheran scholarships/grants (the few that exist) and, since I’m not an Episcopalian, I do not have access to what my classmates have. Now, this isn’t surprising. As the denominations continue to punt the expenses of leadership formation to individuals themselves (creating a high “buy-in” for folks to enter clergydom), any funds that are available are going to be “for our own.” The ELCA uses “Fund for leaders” to replace any churchwide support to seminaries while the Episcopal seminaries are developing plans to introduce a semi-internship year to their M.Div programs. Part of me is curious, however, if this isn’t just the same kind of behavior that has continued to push the cost of education on the individuals. Because seminaries continue to lose support, they have resorted to trying to make up funding issues by selling properties, aligning themselves with universities, and increasing enrollment. I like the idea of asking bishops to have jobs lined up for candidates for ministry but I wonder how that will work with seminaries trying to increase enrollment. And with the mainline church shrinking, seminaries are in competition with each other for viable candidates. Some seminaries (like LTSP) are trying to get out of that cycle by branching out to other denominations and traditions but GTS is not. Cutting faculty, staff, and increasing enrollment will only get them so far. Even these small funds and scholarships do not, by far, make up for the lost in funding and the increase in cost for seminary education. I think there needs to be a systematic attempt to tackle this issue but I wonder if that is possible. For the Episcopal church, maybe but for Lutherans, maybe not so much. Instead, there needs to be a change in culture that will allow things to die and that, well, that might not be on the cards. But if we’re not willing to let institutions to die, change form, and allow a reformation identity to be part of what it means to be Lutheran (what I mean, is to identify ourselves as those who hold fast to a gospel that is not limited to time or what is going on right now), then I think we’re going to end up with a generation of clergy that are going to bury themselves, their congregations, and the church in either too much debt or we’ll rise up a generation of clergy who are older, second career, rich, male, and white – strangling the opportunities for the church be as big as Scriptures demand it to be.